Cleanscape software development automation tools and solutions have been making software development efforts easier -- cleaner -- for leading companies for more than two decades. Our customers rely on Cleanscape software development and testing tools to increase development team efficiency, improve software quality, shorten production cycles, and increase ROI. 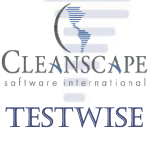 Cleanscape customers are able to more easily administer some of the most complex software development projects to deliver the world's most advanced software applications available. By using Cleanscape products to empower your development process you will join our customers as one of the most sophisticated, efficient software development organizations in the world.